I could not have picked a better career field to go into. I love floral arranging because I have always loved working with my hands and helping people. Plus, who could be in a bad mood while working with flowers? 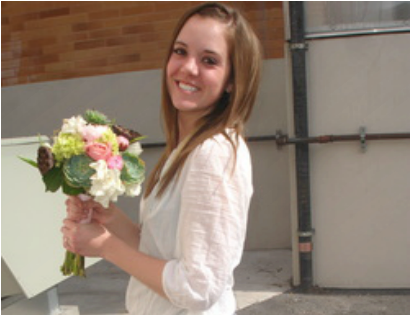 I graduated with my Associates in Horticulture from BYU-Idaho, which led me to an amazing opportunity for an internship with a wedding venue in Orem, Utah called Sleepy Ridge. I went on to receive a Bachelors in Hospitality Management from UNLV. My experience in planning weddings and events in Utah County and Las Vegas has only increased my passion for floral design! Take a look around and feel free to contact me with any questions! Thanks for stopping by!